I have never loved orange in general, especially not for make-up. It just seemed too extreme for my neutral tastes. But then I was introduced to the whole idea of colour theory and opposites by the wonderful Craig-Ryan French, Paul & Joe’s International Make-up Artist. He tried this ‘California Girl’ eye gloss duo, from the Blue Horizon collection on me and I totally fell for the colour orange. Somehow this made a colour I used to think of as bright and scary look almost natural. The name does help by the way, I’m fickle like that… but I’m a bit of a California girl wannabe (as in, in my dreams I’m a California girl…). 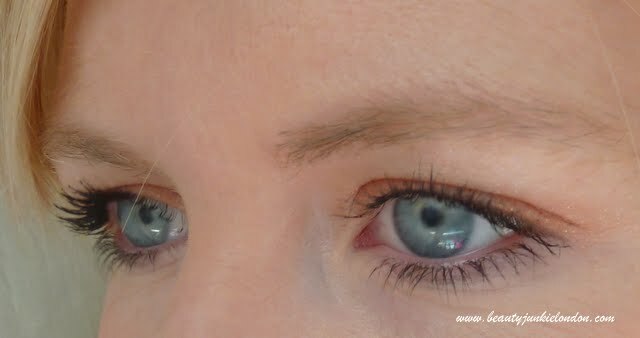 I love the whole idea of the eye gloss too, it’s so easy to do and perfect for summer. Just a slick of light, creamy colour and you’re done. The gloss dries down to a powdery type of texture, but not too quickly. So there is time to blend. Plus it’s easy to layer the colour up if you want a more intense colour. I do hate this phrase, but I think the orange colour really does make the blue of my eyes pop! The eye gloss lasts ok, but not all day. It is easy to touch up though and can be boosted with a primer before applying the gloss. 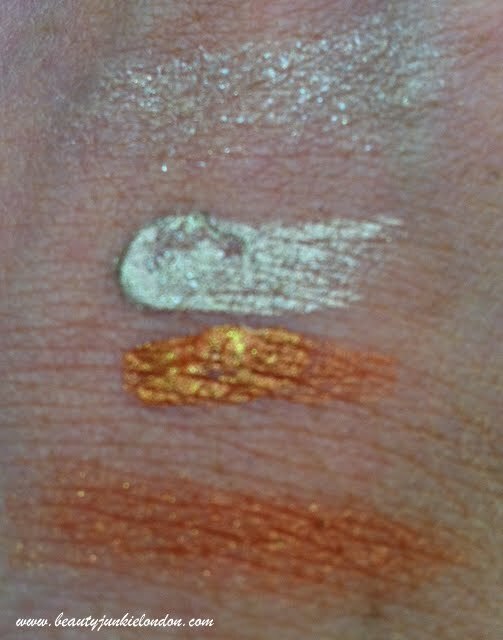 I have mostly used the orange from the duo as find the paler, champagne shade has a bit too much glitter for day time. What do you think? Yay or nay to orange with blue eyes? The Paul and Joe gloss is available from ASOS priced £16.50 (it’s Limited Edition by the way).